We’ve enjoyed being a digital partner with Pearson Engineering for a number of years now, and most recently they approached us as they were looking to further improve their online presence. For those of you that don’t know, Pearson Engineering provide complex engineering products designed to deliver against the most complicated defence and security challenges. With such a vast array of high specification products available, Pearson Engineering now wanted to tailor the content and overall proposition to 4 x clearly defined target markets. The aim was to improve the customer’s understanding of the diverse range of products and services available, as well as improving the user journey. The target markets were a mix of traditional and established areas, as well as newer markets where they are less well known but have a sound product offer. Our sister company, Projector Brand Communications, worked their magic by implementing an updated approach to Pearson Engineering’s overall brand style and structure. This ensured all communications were in line with the company’s fresh approach to the core messaging and target markets. Then it was over to the team here at Union Room to apply this online. We simplified the navigation so that there was clear indication of which products relate to each sector. This also helped us avoid over-complicating the site with way too much information. We also ensured that there was a strong focus on photography since the client had invested in some new, high quality shots for the site and wider marketing literature. By including striking images of engineers at work and visuals showcasing the vast size of the company’s facilities at Armstrong Works, we were able to portray the level of expertise and trust that Pearson Engineering needed to instil. 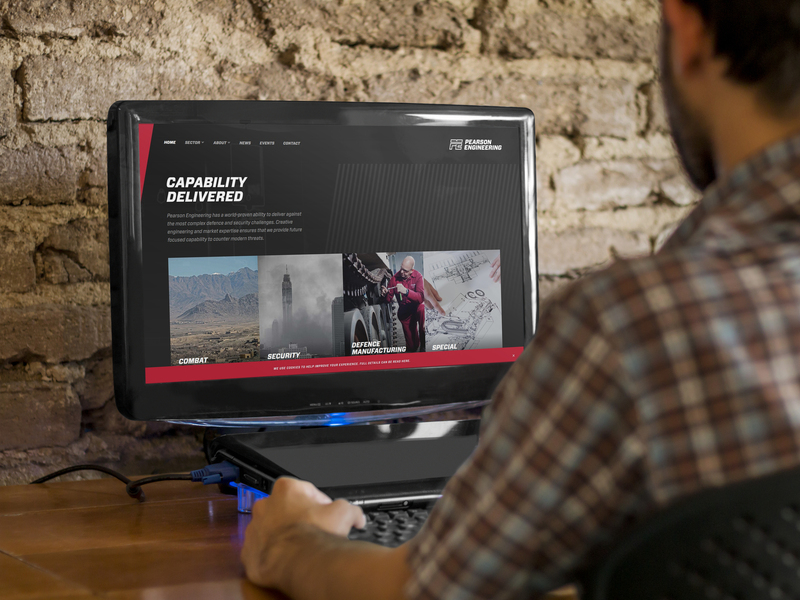 As always, it was a pleasure to work with Pearson Engineering and despite a tight deadline we’re glad we could launch the website to coincide with one of their major trade exhibitions, DSEI. Head over to the new site and see what you think for yourself. Do you feel like you’re not quite getting your brand’s message across as well as you could? Drop us a line today. We’d love to hear from you!